Our iconic 'Rosa' dining chair is artisan made in Stockholm in solid birch and features a beautiful hand carved rose top motif, decorative hand carved rose corners, and round tapered & fluted legs. 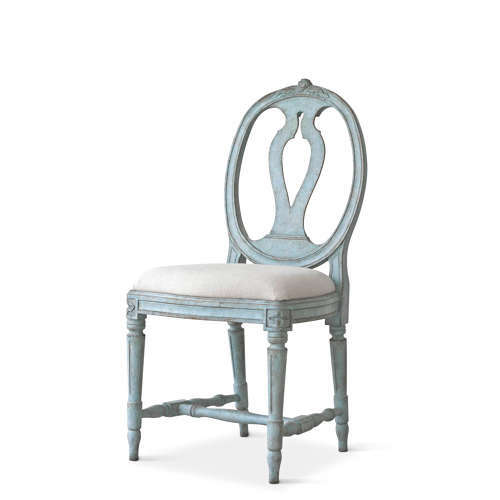 It is faithful rendition of an original 18th century Gustavian rose chair, and is available in a range of authentic Swedish hand painted antique patinas. Upholster in a fabric of your choice.